And so the cake adventures continue. 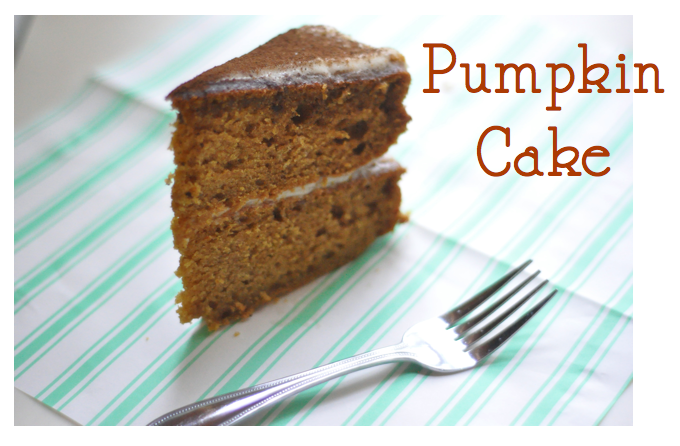 In our second installment of this series I bring to you the pumpkin cake. It seems predictable, but think about it, we only really ever make pumpkin bread. I used this recipe, and made two small changes. 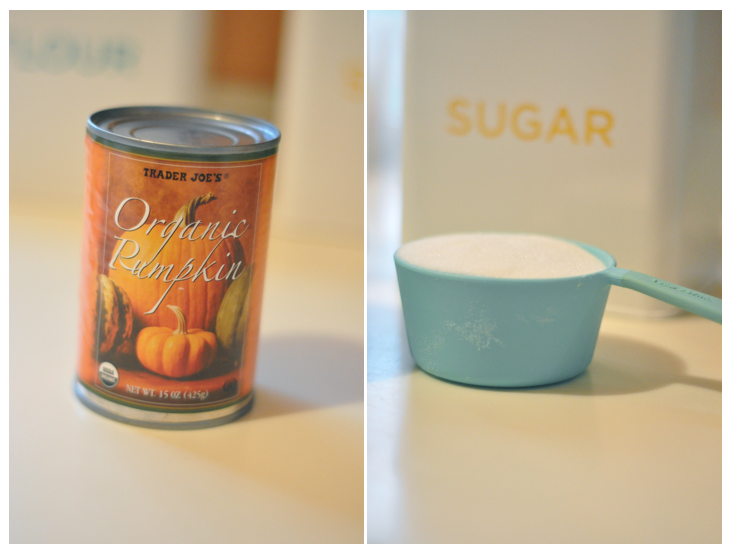 I used one cup of sugar instead of two (and it was more than enough) and I used a 15 ounce can of pumpkin instead of opening another for just one ounce! I'm sure most of you would have figured it was ok, just like I did. The cake was absolutely delicious. I used a cream cheese frosting. Despite my hate for all things frosting related, it was very tasty. If you notice, I only frosted the centers. While that is not as aesthetically pleasing as gobs of frosting, meticulously spread onto a cake, it's more than I can handle. I also decided I wanted to garnish with a spice, I decided cinnamon was too predictable and therefore went for cloves (nutmeg being my other option). While many people are sensitive to the strength of cloves, I found the flavor to be interesting. I did, however, put too much over the top by accident. So if you do go for cloves, be sure to keep it light. 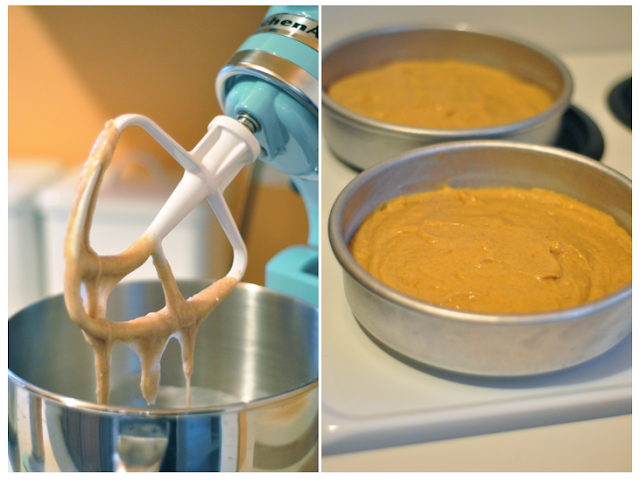 This is one cake I would definitely make over and over again.